We seem to have been coming across a lot of ‘out of bounds’ doughnuts recently. Little S went to a lovely forest party where the children got to eat doughnuts dangling off strings (no hands), she definitely felt rather excluded as she couldn’t join in the fun. Then more doughnuts were offered as the ‘most desirable possible’ prizes in a school assembly a few days later. Again, neither of my girls could participate. As I’ve mentioned before, I am on a mission to enable those with food allergies (starting with my own children) to not miss out on any experience. 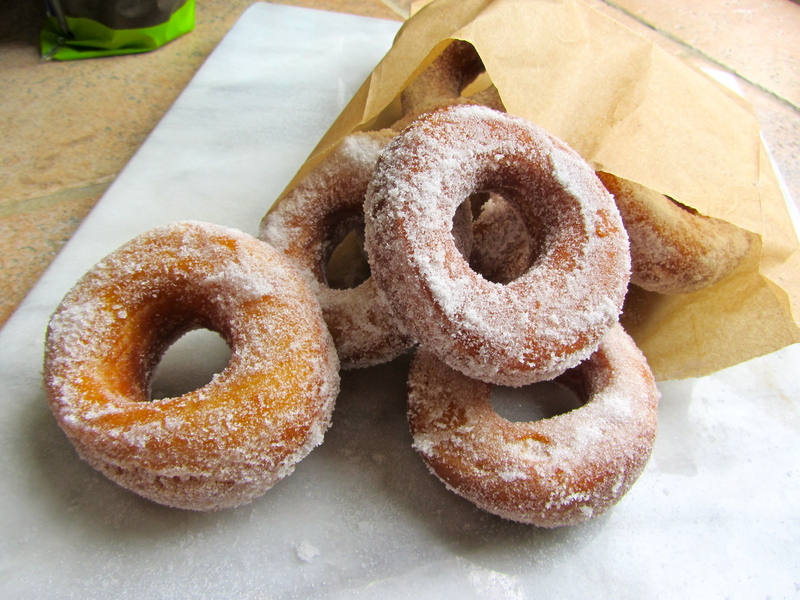 So I just had to make some home-made doughnuts! Healthy, they ain’t! 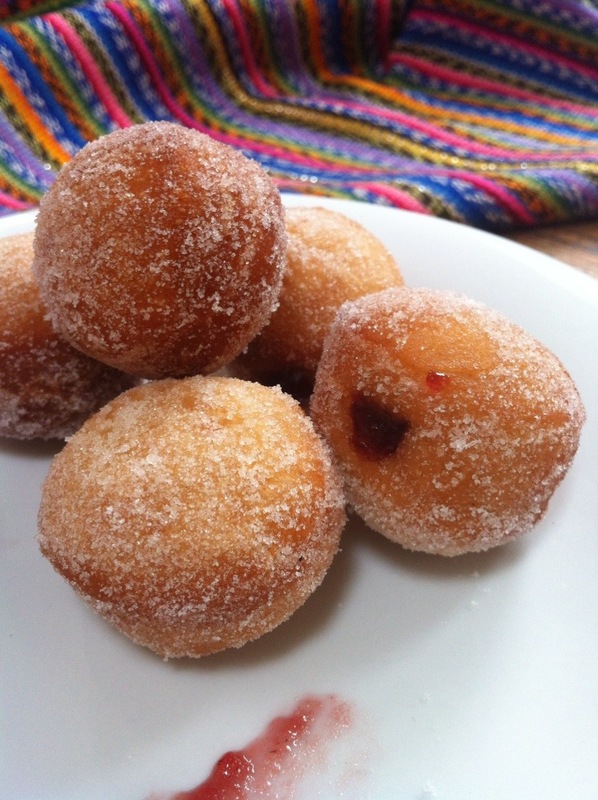 But they are authentic, sugary sweet rings and jam -filled doughnuts. – Mix together the 1 tbsp caster sugar, warm water and yeast. Set aside to get foamy. – Roll out the dough to about 1 inch thick and cut out circles or rings with cutters. – Roll in the sugar whilst still warm. 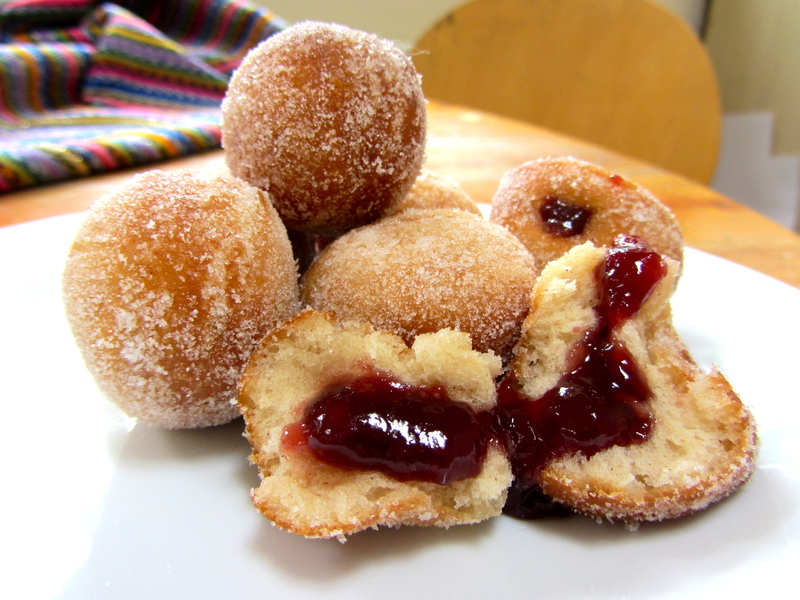 – To fill the jam doughnuts – once cool, make a small hole in one side and pipe in some raspberry jam. These vegan doughnuts look spectacular!!!! WAW!!! MMMMMM! Loving the jam-filled goodness! These doughnuts look delicious. Thanks – best not made too often, for the waistline’s sake!! Those jam filled doughnuts look absolutely perfect!!! I’ve been trying to make fried doughnuts, but have had limited success. It seems I’m not very good at frying 😦 Any tips on how to keep your oil temperature even? I’m not usually a donut-lover, but MAN, those look good. Yum. 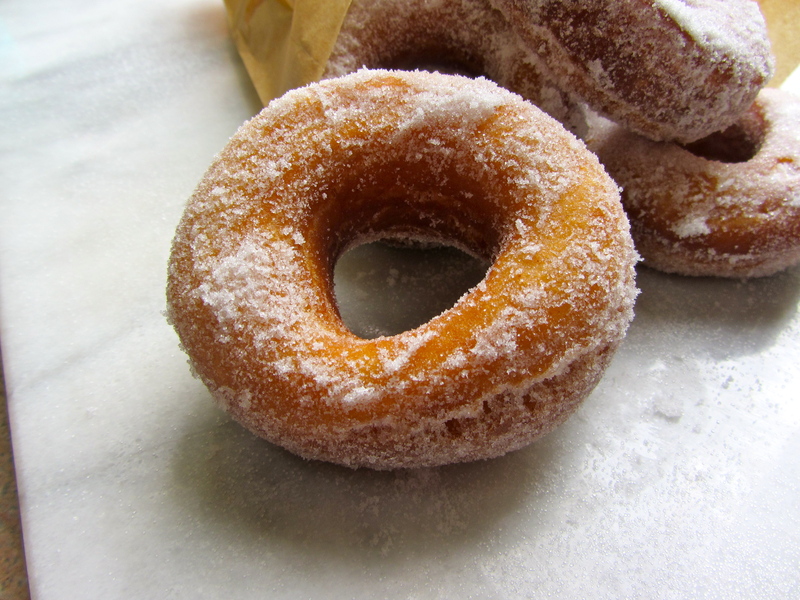 Did the calorie count before frying the doughnut is under 150 calories. So actually not too unhealthy. Your welcome. After frying probably around 150-175 for non jam. Making these today. wish I had a deep fryer now!!! 😀 yum! Second attempt all ingredients exact frying….too dark..hard outer crust…Semi Fail!. How did you get yours to look so light golden and spongey looking??? Trying to make jam filled lines for DS 3 yes old. Hmm, not sure. Was the oil too hot? I watched a cooking show and I got a huge craving for donuts. I was very pleased to find your recipe! It filled my craving, and I will bring those to my next vegan pot luck. Thank you. will these work with gluten free flour? Thank you for this post! I just made these for my 3 boys and they turned out great. Would US granulated sugar (bigger crystals) or powdered sugar (superfine sugar with corn starch added to reduce clumping) work for this recipe? Grocers don’t sell castor sugar here. I was looking for a vegan doughnut recipe yesterday and I came across this one. It looked good and easy so I decided to try it. The doughnuts were an absolute success! Everybody in the family liked them. So much that I had to make them again today! And they turned out just as good as yesterday! Thank you, thank you, thank you! And bravo for you! Any idea how much instant yeast I should add instead of dry yeast? These look amazing! Here in Israel, it’s “doughnut season” as the next holiday up is Chanukah, when we eat these (sufganiyot in Hebrew). The bought ones are never good and NEVER have enough jam or ganache in them! Can’t wait to make them.